Now in it’s 6th year Goole & Howdenshire Business Excellence Awards brings the opportunity to showcase your business, be it large or small. This year’s awards are broken down into ten categories, including Small Business of the Year and awards relating to innovation, customer excellence, new business and Contribution to the Community. Anyone entering the awards is encouraged to enter more than one category and ‘go all out’ to showcase their strengths and skills. The organisers are also urging those who have previously made it to the short list or become category winners to enter the 2016 awards to demonstrate their ever increasing skills, top-notch customer relations or their impact on the local community. The black tie event at Goole High School, which has steadily grown in size and status, receives widespread support and sponsorship from the broader business sector, which recognizes the impact of local success stories on the region’s economic profile. The awards will be hosted by the BBC’s Harry Gration and staged by the Awards Committee in partnership with the Hull and Humber Chamber of Commerce. 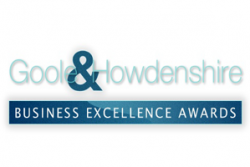 Information and entry forms for the Goole and Howdenshire Business Excellence Awards 2015 can be found on the website, www.goolebusinessawards.co.uk.